THIS IS MINI Portable OLED T12 solder iron station， If U want to change the default Tip , please tell us or leave a message. NOTE: Iron tip do not work continuously high temperature, high temperature work is easy to damage the tip! Ordinary solder melting point is 183°C, lead-free solder melting point is 227°C, usually the welding temperature is 300-380°C, 380°C is the temperature of the dividing line, higher than 380°C, iron head oxidation and loss is extremely fast, seriously affect the heating core life The Higher than 380°C temperature display will be beating, the higher the temperature, the greater the beating!Recommended in the 300-380°C for welding work, most of the work can be carried out, the temperature beating is normal, does not affect the use! 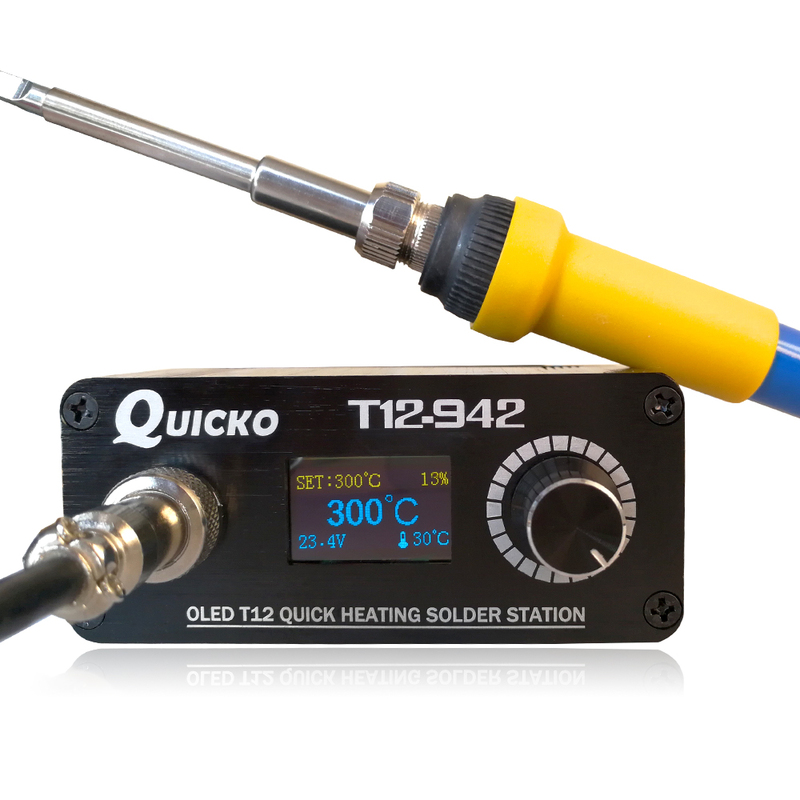 ​If can use low temperature, then do not high temperature: T12 is constant temperature control, the general recommended working temperature control between 300 ℃ ~ 380 ℃, higher than 380 ℃ damage the coating of solder tip and cut down the PTC life! Choose handle color as you need. you can choose iron tips as you need from blew picture.